Roy E. Disney saved the Walt Disney Company...twice. He was at the center of two memorable boardroom battles in 1984 and in the early 2000s that resulted in new corporate leadership. Both times the company came out better for it. In The Mouse Castle Lounge today, I chat with longtime Disney animator, director and producer Dave Bossert. Dave has written a new book about Roy E. Disney that touches on Roy's well-known corporate entanglements, but mostly pays tribute to Roy Disney the man, and tells the stories of the many people--particularly in Disney Animation--who knew, respected and admired him. 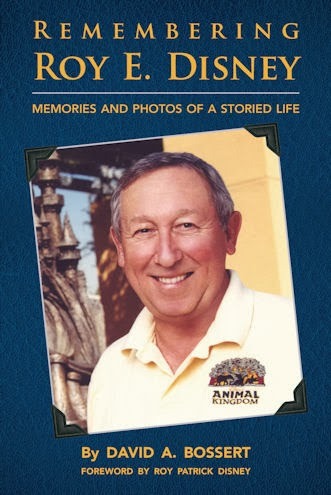 The book is entitled Remembering Roy E. Disney: Memories and Photos of a Storied Life. It's an insightful look at the man who led the charge to resurrect his father's and uncle's company, and enabled Disney to thrive during what would become the Second Golden Age of Animation. 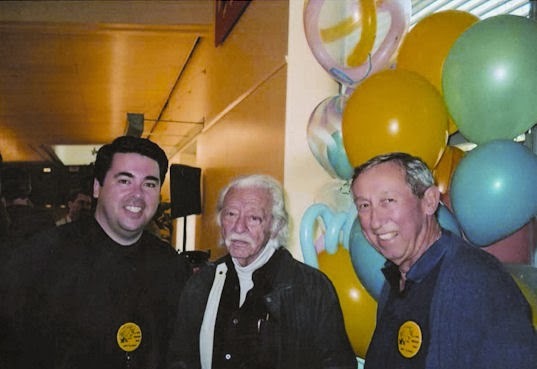 In our conversation, Dave and I talk about Roy's life and legacy and Dave shares some great stories about a memorable Oscar night and the time he had to lend billionaire Roy Disney a hundred dollars. Walt Disney Animation Studios in 2003. Great podcast this week Tim. Dave's book is going on my Xmas list!!! Thanks, Gregg. It's a quick read, but it's packed with a lot of great anecdotes. Even better is Dave is compiling more stories for a future edition.